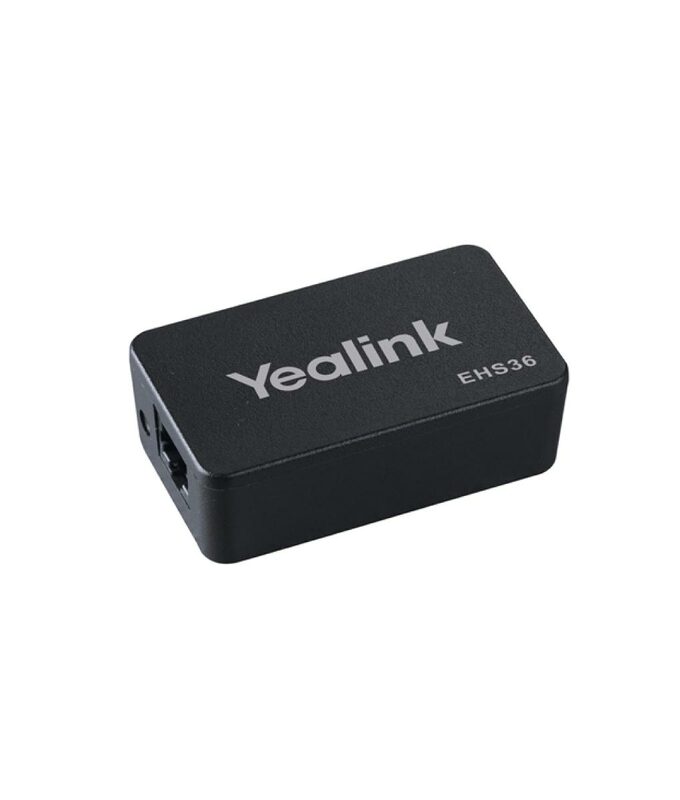 The new and advanced Yealink Headset Adaptor EHS36 provides the technical interface between your Yealink T41PN, T42GN, T46GN, or T48GN IP telephone and a compatible wireless headset. It is approved for use with Plantronics, Jabra and Sennheiser wireless headsets. The unit is easy to install – simply link EHS36 to the EXT port of the phone and, effectively `plug and play’ giving you control of your Yealink phone and the ability to answer and hang up calls remotely. Designed to ensure maximum productivity for staff and is ideal for the Corporate, Financial, Health, Government, Educational, Industrial and SME/SoHo market sectors.